Rev. 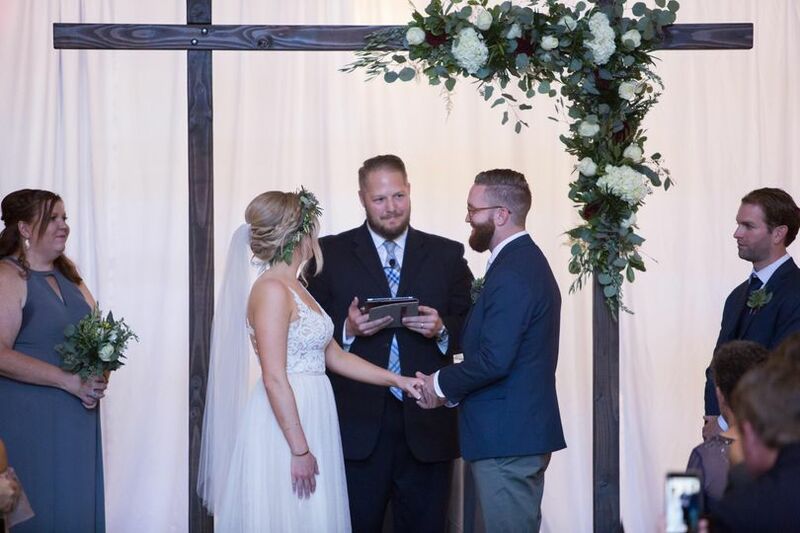 Corey Alley is a licensed, ordained pastor, and wedding officiant located in Concord, North Carolina. 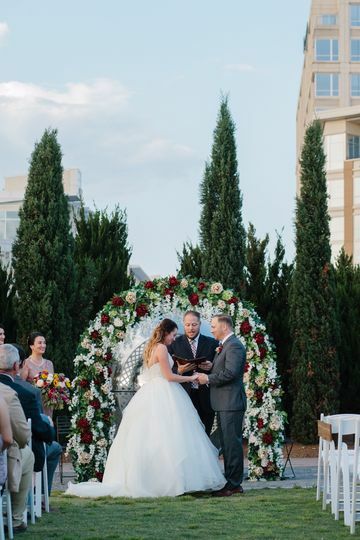 His goal is to help you craft a custom ceremony that fits your unique style, whether you're looking for something traditional, contemporary or something in between. 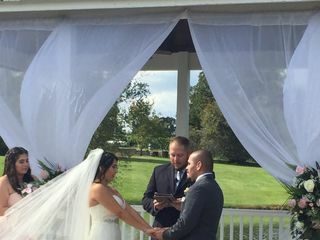 He loves meeting new couples and walking them through this exciting time in their lives. Rev. 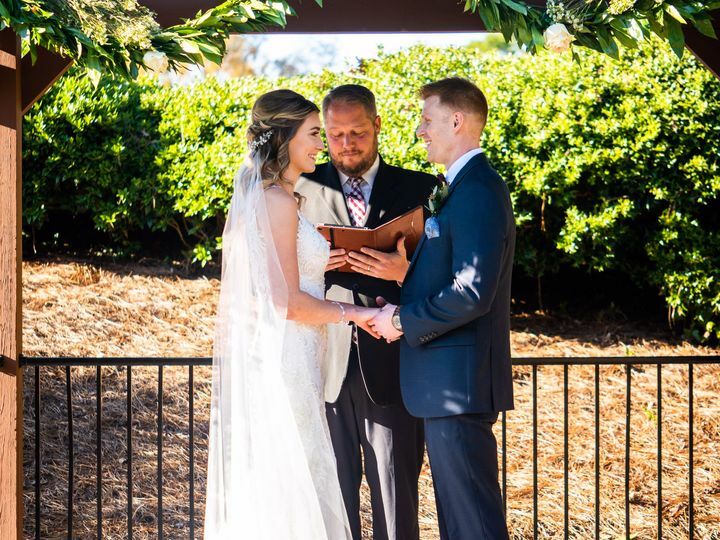 Corey Alley looks forward to sharing in your special day. This ordained pastor has a seminary degree from Liberty Theological Seminary and is currently a senior pastor of a church in Concord. 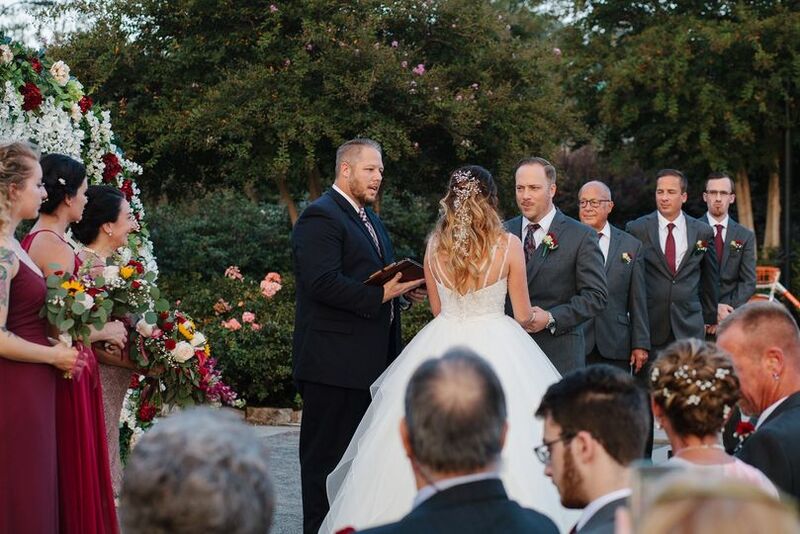 He believes in the sacredness of marriage, and has performed at over 200 weddings throughout the years. Rev. 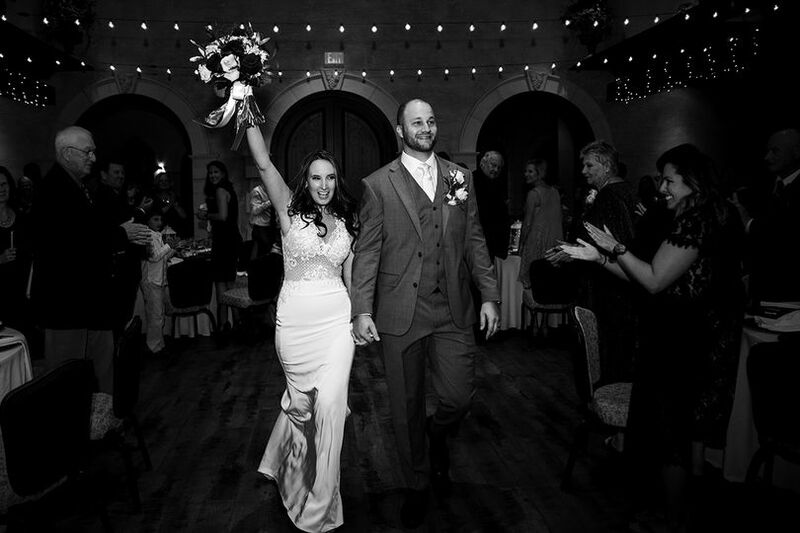 Corey is happy to travel all over the country, as well as internationally to take part in your wedding. 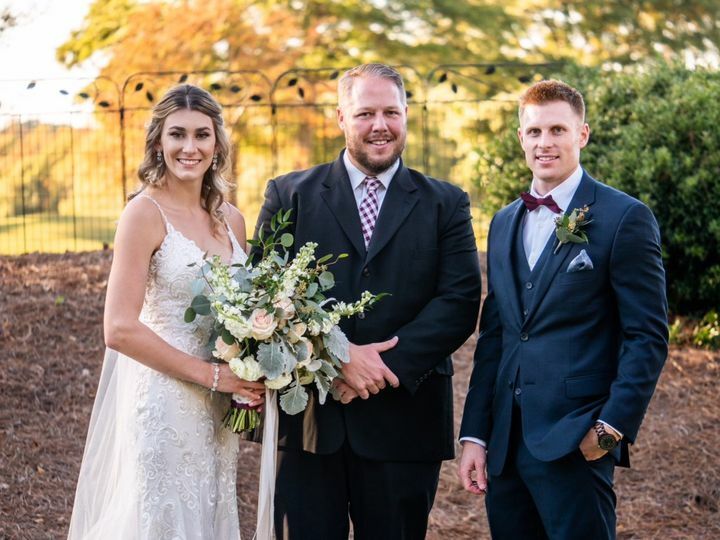 My husband and I have nothing but wonderful things to say about Pastor Corey Alley who not only officiated our 9/29/18 Charlotte wedding, but who also guided us through many tough and vital conversations during our premarital counseling sessions with him. 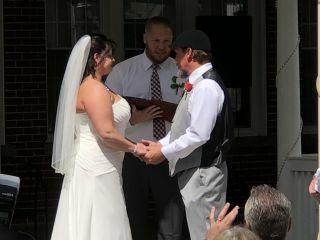 Pastor Corey made us feel comfortable when talking to him and confident in taking this next step as husband and wife. 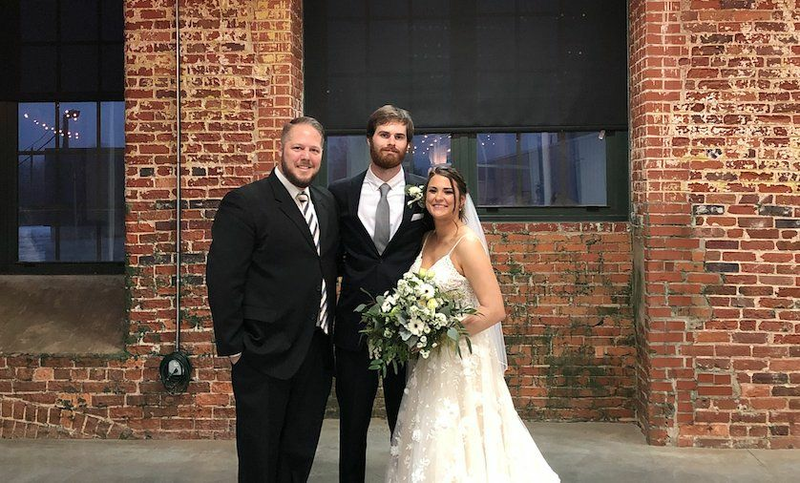 He was kind, attentive, and professional both leading up to the wedding and on the actual wedding weekend. We can’t thank him enough and very highly recommend him! 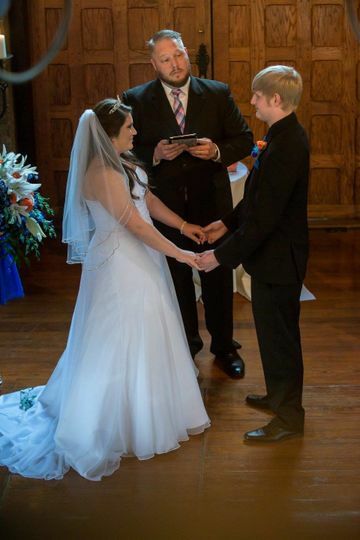 Loved our wedding with Corey!! Corey was amazing! He really cared about us as a couple and it was touching. 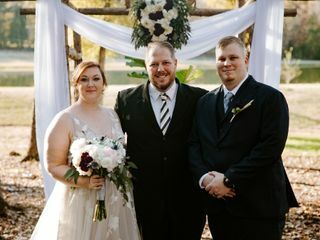 He was great for the ceremony and helping us formulate the vows/etc. he’s also really personable and just a great guy all around! 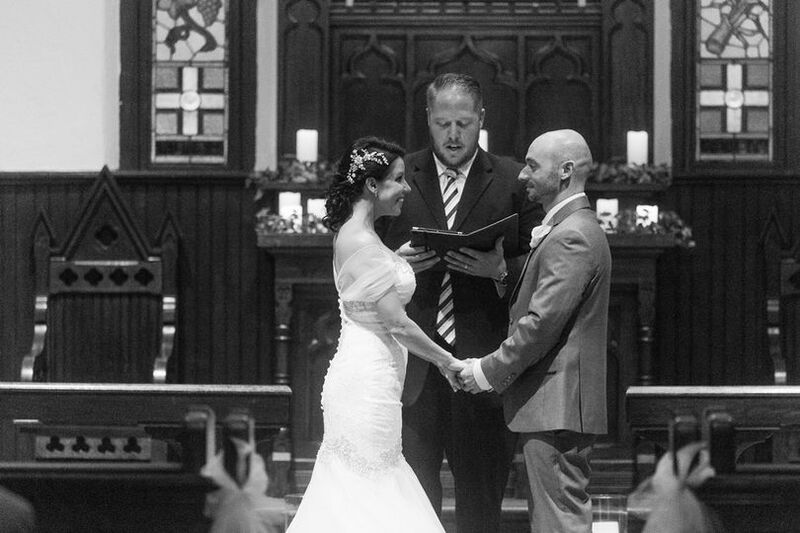 I was given the opportunity to find the professional who was to marry my wife and I. Instead what I found was someone who greeted us and treated us with kindness and as if we were family. Corey was like a brother I never knew I had. Professional but flexible he mentored us and helped; building a ceremony that was truly unique to us. WE EVEN MESSED UP the timing and you would have never known. Corey picked up on the missed calculation (on our part) and smoothed it out which made it perfect for the videos/pictures. I wish Corey the best as a friend and someone who feels like one of the best moves we made was hiring him. Corey is genuine, caring and passionate about what he does. He is also a complete blast and totally fun! There&apos;s a million stuffy and bland "blah blah blah" ministers out there so skip the search and book Corey. He is very professional and authentic. You&apos;ll be very glad you did.